Last year, few good investors highly recommended reading Market Wizard Series by Jack D. Schwager. 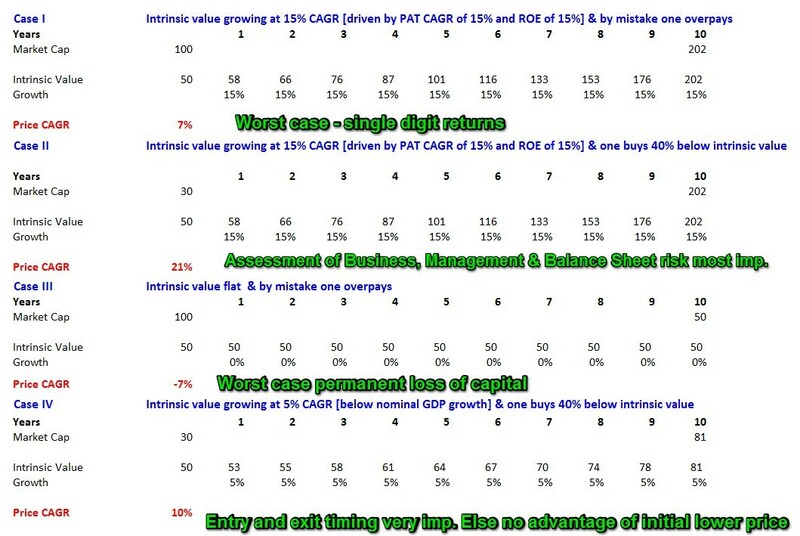 I think every value investor should read it. I have complied my personal learning from this series. Its quite possible that you might interpret the same … Continue reading →.. I know many of you would have already read Jamie Dimon letters to JP Morgan shareholders, if anyone has not .. Please do read all letters in full from 2005-10 and selectively from 2011-16… Few important takeaways for me are … Continue reading →.. Acknowledgement: This is mostly a compilation of material from various books and blog post. I have tried to quote source wherever I could recollect. 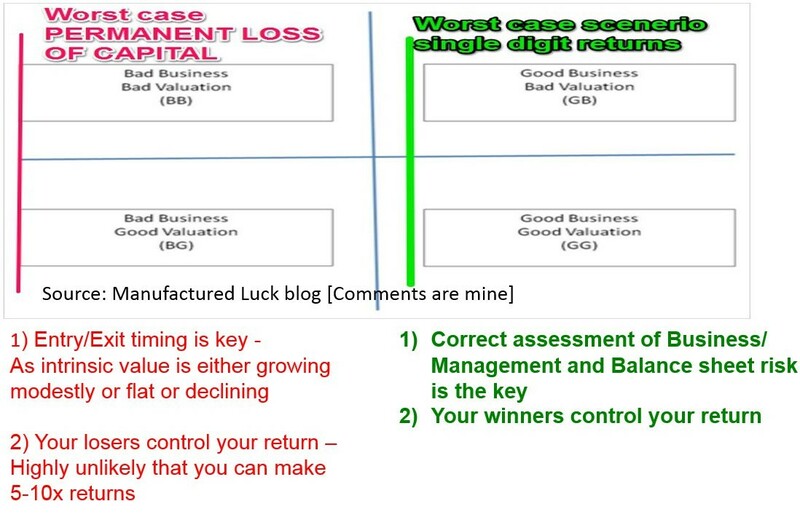 I have a firm belief that any investor can easily outperform market over 5-10 years by a wide … Continue reading →..
What Causes Long term Loss of Capital – High Valuations or Lack of Sustainable Profits Note: This is slightly edited version of my talk delivered at Flame Alumni meet which I have reproduced based on my memory. You can download … Continue reading →.. Note: Quote in Italics are from the book “MasterClasss with Super Investors”. To manage the blog post length I have slightly edited and combined the quotes of same investor appearing at various places in single para. If it results in … Continue reading →..
Why read about Keynes Investment Philosophy? Under Keynes’s tenure as First Bursar of King’s College— a period that encompassed the 1929 market crash, the Great Depression, and World War II— the discretionary portfolio of the King’s College grew through Keynes’s … Continue reading →..
During June 2018 I gave a presentation on the subject ”Numbers Speak, Listening is an Art” in Flame Alumni meet. I am sharing the same presentation, with slight modifications. To avoid any controversy I have removed the names of the … Continue reading →.. Couple of years back I tried to compile Howard Marks memos from 2001-2011 in a 75 page document. It was quite a learning experience for me to go through this document again. You can download this document from here. I … Continue reading →.. I am generally obsessed with learning from other participants in equity ecosystem like short sellers, traders etc. Some time back I did post on What LT investors can learn from short sellers. This time lets look at what can long … Continue reading →..
For long time I was planning to do a blog post, but somehow was finding it difficult to take out time. So finally decided to take a short cut. I am posting some compilation of thoughts from my EVERNOTE. Its not … Continue reading →..